(132 reviews) Write a review! 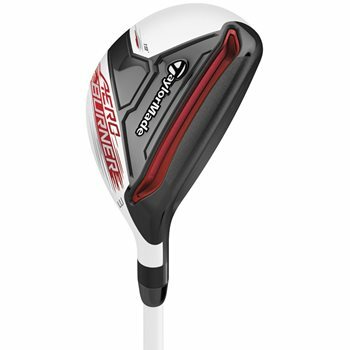 The TaylorMade AeroBurner rescues are TaylorMade’s most aerodynamic hybrids ever. They feature a new aerodynamic shape with a shallow face, raised center crown and a new hosel fin. The new Open Channel Speed Pocket increases the size of the sweet spot and reduces spin. With a new white matte finish, black PVD face and linear AeroBurner crown graphics, the AeroBurner is easy to align up. Stiff flex is meant for stronger, faster swing speed players where as the senior flex is best for the slowest men's swing speeds and will flex more and launch the ball higher in the air than a stiff flex. Of these 3 hybrids Cleveland CG, Aeroburner or Sldr S which do you think is better for a 15 handicap with an 85-90 mph swing? It would depend on what you are looking for. The Aeroburner is going to give the most distance wise as it is the lightest. The CG provides forgiveness and higher trajectory for those who struggle to get the ball into the air and the Sldr S gives somewhat of a combination of the two. I thought this was stupid easy to hit from any lie. My only complaint is that the shaft was just too light for me and my swing! 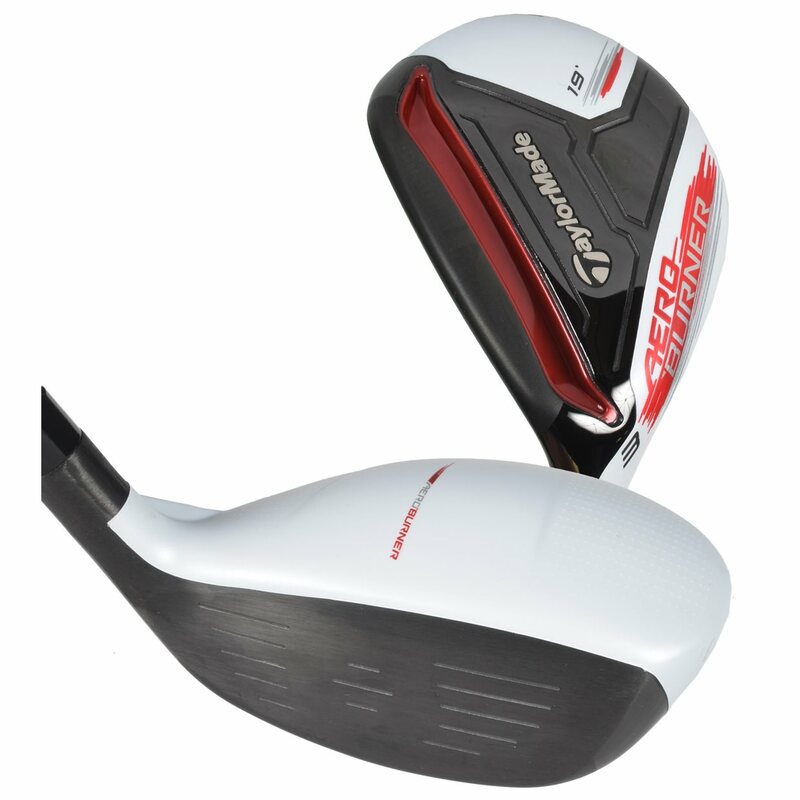 Great club for the mid-handicapper with a slower swing, but for the faster swingers it may be worth re-shafting. TM continues to make some great clubs! 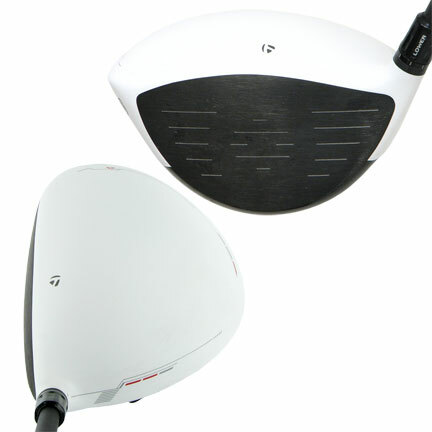 This is the best of Taylormade and that includes the M-1 and M-2 family. I have all three and this is lighter, longer and more accurate. I actually hit this thing too high, too long, and with too little spin. It's a freaking high launching missile launcher. I ordered this hybrid as a value club. It does have some wear and tear on it but it is an awesome club. I ordered it as value because I knew I would not use it all that much. I have now bought an iron set and a wood set from Global Golf and I want to say how great a company they are. I will never go to a golf store again unless I need to hit the product but will always buy from Global.